One fifth of College staff who responded to the 2017 Williams Staff Committee (WSC) staff survey said that they worked another job in addition to their job at the College. Staff members cited financial security as the reason they seek to bolster their income through additional jobs, although they also expressed contentment with their wages at the College. Some say that changes in personal circumstances motivated them to take up another job and that they felt that working multiple jobs was necessary for their wellbeings. “The qualitative responses in the staff survey indicate that the need to work other jobs outside of Williams is for the purpose of covering necessary expenses, not frivolous purchases,” Williams Staff Committee representatives said. In the 2014 staff survey, staff members were asked to rate how much they agreed with the following statement: “I need to work other jobs to supplement my Williams income.” Twenty percent said that they “agree” and 13 percent said that they “strongly agree.” Respondents in that survey were not asked if they worked another job. 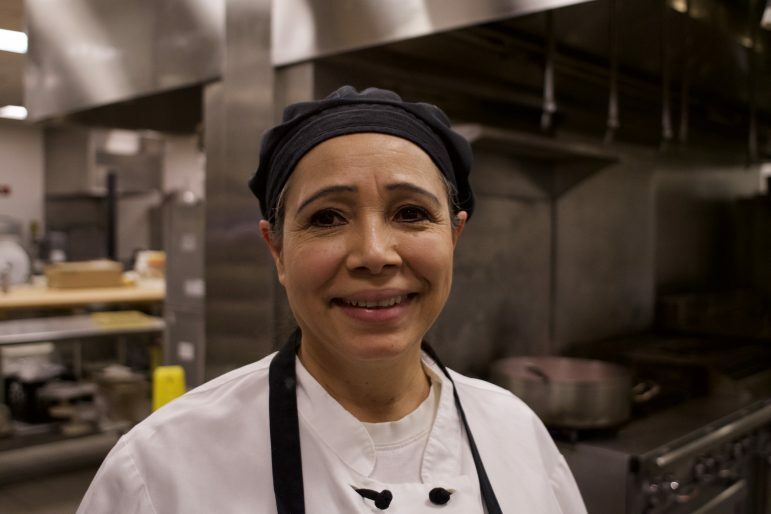 Ada Moreno, a cook at Whitmans’, works two days a week caring for elderly people in their homes, as well as one day each week cleaning apartments. Because she works at the College five days a week, she often works two different jobs on the same day. She said that she has been caring for the elderly for eight years and picked up the cleaning job two months ago because she believed it was financially necessary. In each of her jobs, Moreno tries to attend to the needs of the people around her and makes sure not to allow any job to interfere with another, she said. She added that one reason she continues working the jobs is that she also enjoys them. Moreno came to the U.S. from Honduras 35 years ago, settling in North Adams. She worked in the Modern Aluminum and General Cable factories before receiving a part-time job at the College 28 years ago, when she was still a full-time worker at General Cable. She began working days at the College and nights at the factory. Leticia Guzmán, a prep and service attendant at Whitmans’, said that she works another cleaning job to supplement her income and that she enjoys both her jobs. Guzmán said that the benefits, the colleagues and the students make her job at the College exceptional.